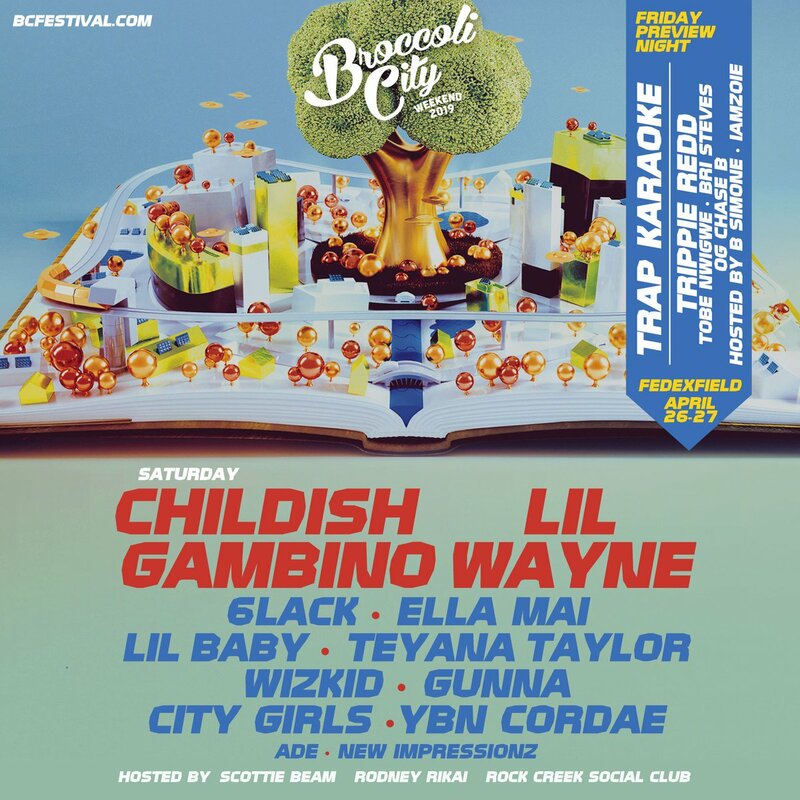 For the third year in a row, the Broccoli City Festival will be going down in Washington, D.C. And this time, Lil Wayne and Childish Gambino are the headlining acts. Going down at Fedex Field on April 26-27, the stage will also be blessed by 6lack, Ella Mai, Lil Baby, Gunna, Teyana Taylor, City Girls, YBN Cordae, WizKid, and a few others. Check out the flyer below and head to BC’s official website for the full details about the weekend festivities.